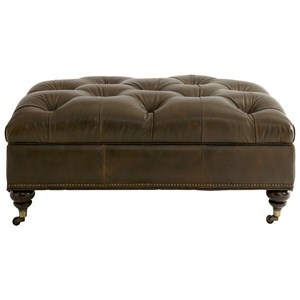 Smooth styling with a sophisticated approach sweeps over this large rectangular ottoman. 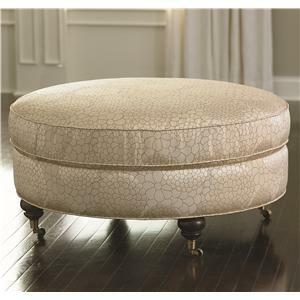 An accent piece by a high-end manufacturer, this footrest features smooth pulled upholstery with tapered wood legs for a transitional design. 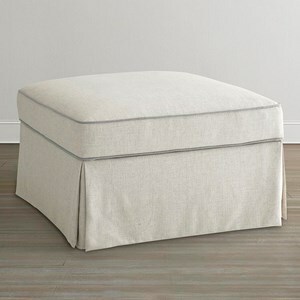 Complete with a lower shelf for storage, use this ottoman to accent a living room, family room, parlor or den. 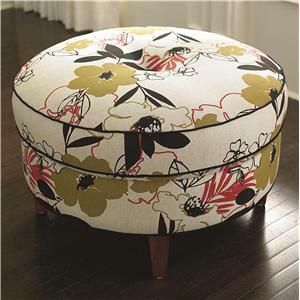 Add a large display of accent to your room with the hand-picked style that you desire by tailoring the look of this round accent ottoman. 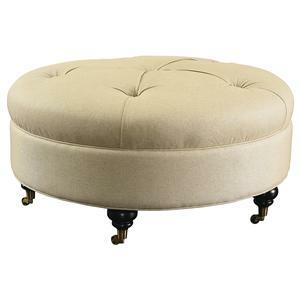 Crafted for perfection by a quality manufacturer, this round ottoman will highlight any room with an eclectic taste of well-designed style. Choose visible casters for easy movement across wood floors or add a skirt for a hint of cottage charm. Tuft it, trim it or keep it contemporary with a smooth seat top and tapered wood legs. 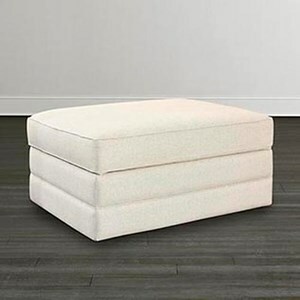 Part of a high-end customizable upholstery program, this elegant ottoman can be altered upon request to match the casual, contemporary or traditional style of individual homes. 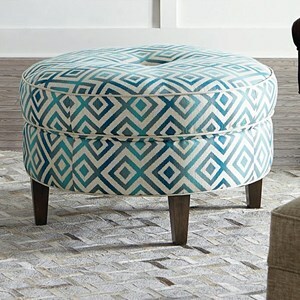 The HGTV HOME Design Studio Custom Ottomans Large Rectangular Ottoman with Shelf by Bassett at Hudson's Furniture in the Tampa, St Petersburg, Orlando, Ormond Beach & Sarasota Florida area. Product availability may vary. Contact us for the most current availability on this product. Fabric Options Available in a wide selection of fabric and leather options. Seat Shown with box top and matching welt trim. Leg or Skirt Shown with lower shelf base. Available in several base options including turned, tapered, skirted, casters and turned legs with casters. Frame Construction Available in 4 sizes to best fit your space. Whether you picture your home as an elegant atmosphere for chic dinner parties or a casual retreat for relaxing with the family, this accent upholstery collection will assist you in creating an environment that you're happy to call home. With many items that can be specially customized to suit your individual room style and size, you'll find yourself immersed in customizable possibilities to create the perfect home environment. 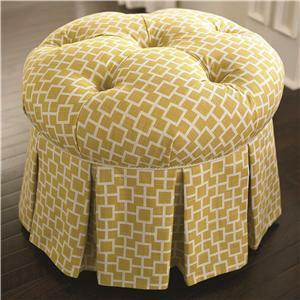 Designed in partnership with HGTV, upholstery furniture items within this collection can be perfectly tailored through special order methods to match the artistic style and decorating atmosphere of individual homes. Item dimensions may vary slightly based on customization options. The HGTV HOME Design Studio Custom Ottomans collection is a great option if you are looking for Transitional Casual furniture in the Tampa, St Petersburg, Orlando, Ormond Beach & Sarasota Florida area. 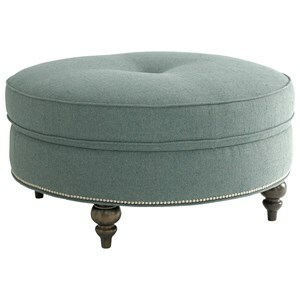 Browse other items in the HGTV HOME Design Studio Custom Ottomans collection from Hudson's Furniture in the Tampa, St Petersburg, Orlando, Ormond Beach & Sarasota Florida area.